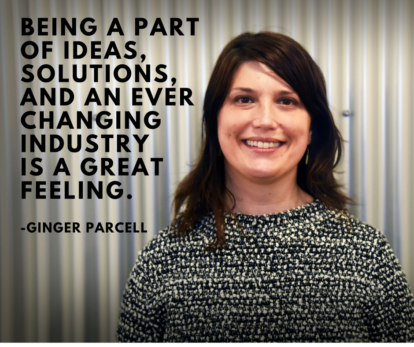 We talked with some of the women at SPR to learn what it means to be a woman in tech. Hear what inspired them to pursue their careers in technology. They draw strength and inspiration from those who came before them – and the remarkable women working among us today. Q: What is that you do and what is a typical day for you? A: I am an Agile Project Manager and Practice Advisor in Project Delivery. In a typical day, I remove blockers that may inhibit the project, review metrics, mitigate risk, and report the project status. I also spend a lot of time planning, keeping an eye on short and long term goals, and am a liaison and diplomatic advocate for my team and all business stakeholders. Q: What do you think is the best part of being a woman in the tech industry? A: Being a part of ideas, solutions, and partnerships that are on the leading edge of an ever-changing business and consumer marketplace is a great feeling. The collaborative nature of the Agile methodology and of the servant-leader and self-organizing team mentality is very appealing to me as well. Q: Do you have any strong female role models? Who and why? A: My biggest female role models have been family members. My aunt, for instance, was a graduate of the Harvard Business School, just like my dad. However, unlike my dad, my aunt did not receive financial support from her parents. They explained to her at the time (late 1960s) that she didn’t really need an advanced degree as a woman. She pursued it anyway and had an extremely successful career in magazine publishing. Other role models include: Queen Victoria, Amelia Earhart, Maya Angelou, Oprah Winfrey, and American author Elizabeth Gilbert. Q: Did you always know that working in technology was what you wanted to do? A: From as early as the 8th grade, I knew I wanted to work in technology. I was introduced to computers in a trial computer science class at my school and only 13 of us were chosen to be part of the program. After doing a few administrative type jobs, I got my break as a junior test analyst. From there, I worked my way into leadership roles at a variety of different companies. A: The best part about being a woman in the tech industry is the strong community support we have. There are so many networking groups, meet-ups, luncheons, etc. all geared toward women in tech. There’s a surplus of knowledge sharing from a lot of smart ladies! Q: Do you notice a lack of women in technology? If so, why do you think that’s the case? A: When I started my career in the early ’90s, there were not many of us women out there. However, now I would say the balance is much better. I think that’s because the kids that are now graduating from high school and college grew up with technology as a key component of their lifestyle and understand the importance of technology in the future. 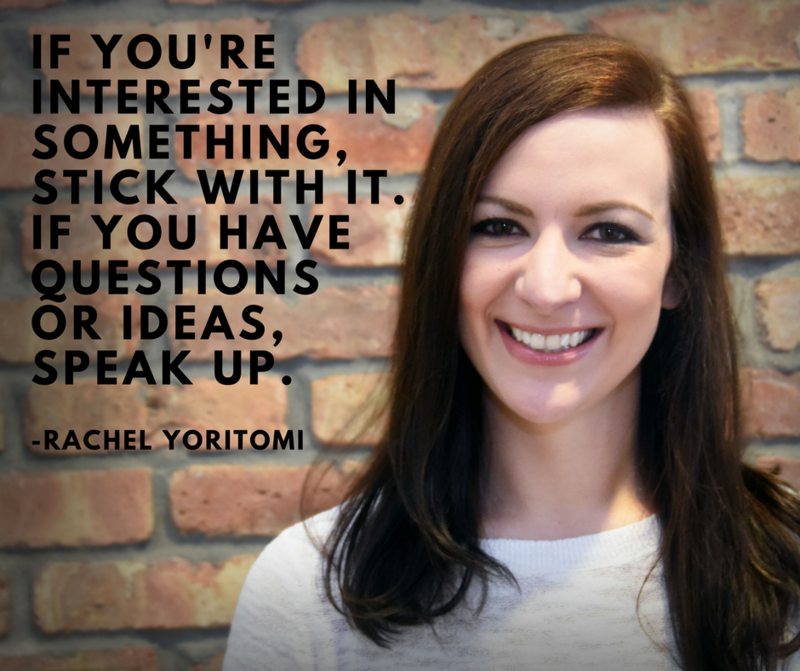 Q: What advice would you give to a woman considering a career in the tech industry? What do you wish you had known? 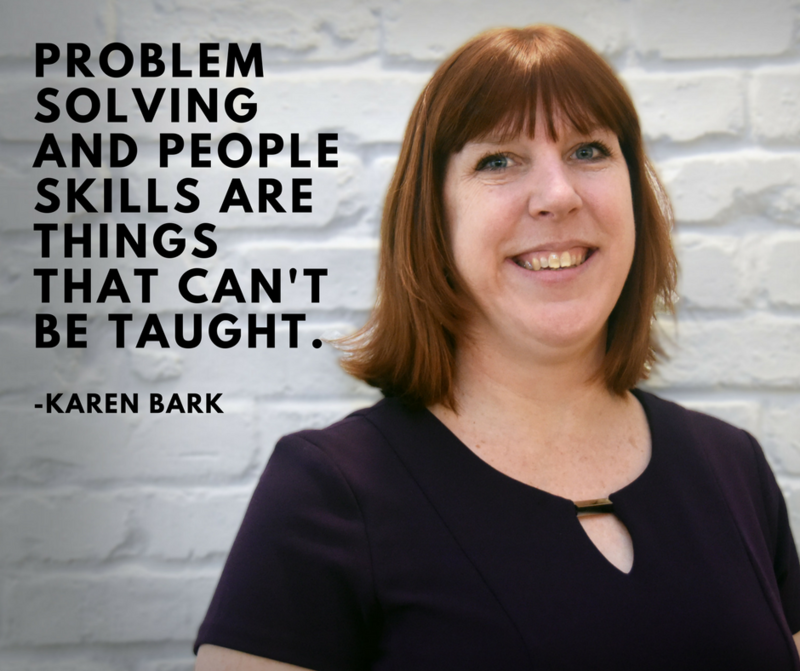 A: Make sure you have solid problem solving and people skills – those things that can’t be taught! You can learn everything else. Sometimes, it’s okay to fake it until you make it with all the knowledge available on the internet and through networking. A: Yes, definitely! I’ve always loved disciplines which combine technology with creativity. I started out at a software telecommunications company, worked in game development, then spent a few years programing arcade games and writing kids ‘edutainment’ software. I loved those jobs, but also really wanted to take some time off to raise a family, so I took a break. When I got my first smartphone, I knew exactly what I wanted to learn next. I took a Java programming course, an Android app development course, and did a short unpaid internship at a startup company before eventually finding my way to SPR. My days are usually spent writing and testing code for Android apps and fixing bugs and finding workarounds for platform limitations. I also research and experiment with the various frameworks and tools of interest to our practice amongst many other things. A: My cousin has a PhD in Library and Information Sciences and has been supporting women in the field of data science for years. She is making a positive impact by studying how data is collected, made available, and consumed— all while championing causes concerning the ethics of data collection. A: Take an introductory programming class! Do not be afraid of failing without first trying. And don’t just take one class and decide technology is not for you— challenge yourself to take two or three. If programming doesn’t spark your passion, perhaps you may enjoy another corner of the industry such as learning how electronics work. If you find you have a passion for tech tinkering and decide to pursue it as a career, do not doubt your abilities! A: I spend my days creating and editing communication tools and supporting several sales pursuit teams. I help our sales and marketing teams sell our technology services by creating proposals and other pre-sales presentations specifically tailored to prospective clients’ needs. I’m constantly learning about the types of services our teams offer, and how best to communicate the value of SPR’s services to prospective clients. A: I’m a hybrid “creative” and “practical/pragmatic” type, so my career focus has toggled across areas that allowed me to spend my workday on both the creative and the practical. I started out with a business and marketing degree and worked in sales. Then I got an MFA in interior architecture and spent several years designing corporate office space and data centers. After stumbling upon a blog written by a woman who gave a TED Talk about “multipotentialities,” her advice made me realize it was fine to follow my interests beyond a specialty of designing architectural interior back into marketing, and I used that inspiration to channel my career toward trying a new industry. 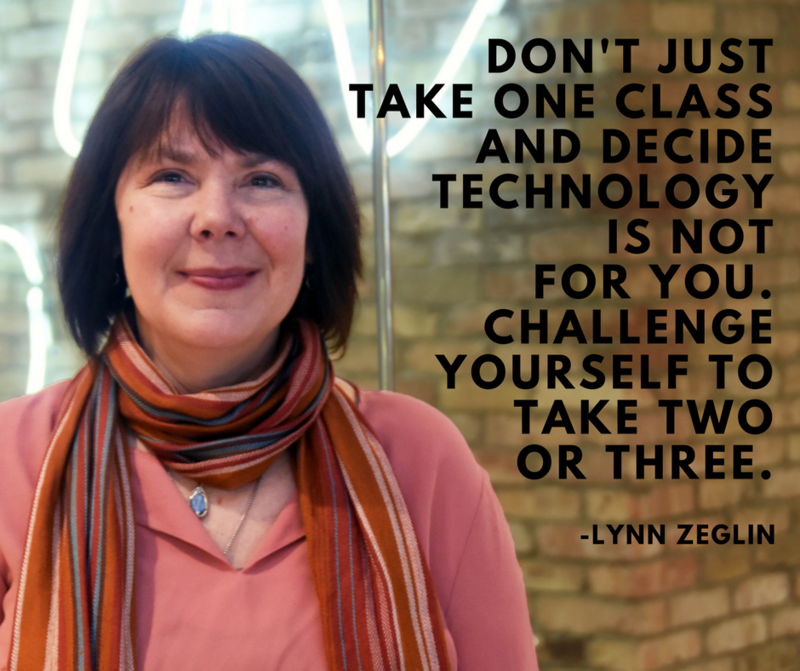 A: For women in general, I think the tech industry offers many types of career paths and a lot of flexibility, which is important for the modern worker. Q: Do you have any strong female role models? A: I don’t think role models have to be exactly like you to be helpful to you. The strongest role models for me are people who are able to work constructively and understand and assess ideas on their merit. Men and women can bring unique perspectives and respectfully learn a lot from others’ points of view. A: If you’re interested in something, stick with it. And, if you have questions or ideas, speak up. A: I participate in and help facilitate inceptions and strategic assessments and provide business analysis on different projects. 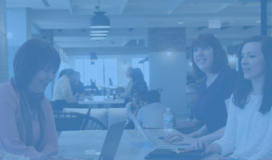 As a business analyst, I help with user research by writing user stories, identifying project risks, suggesting mitigation strategies, and helping clients prioritize their goals and next steps. I also help set the standards for the SPR Business Analysts and guide them as needed in their career development and growth. A: I suppose from my middle school days I knew I was going to be working with computers. I started out as a developer and moved on to software consulting: development, project management, delivery management, and finally product management. A: Unlike popular thinking, it is not because math and science are hard, but I think the reason women don’t want to be in the tech industry is the same reason women don’t want to be a member of a fraternity in college. It is not acceptable to treat a woman as someone who you expect to clean up after you, someone who should listen to immature jokes about other women, or someone that is looked at like an object instead of being respected for her contributions. I have not experienced this at SPR, but it is something that many women face every day at work. A: Indira Nooyi of Pepsico is my role model. She is a woman, minority and a mom – and leads a successful global giant! Her anecdotes on how she managed to give her time to Pepsi while her children needed her at home is very impressive. She makes them proud. 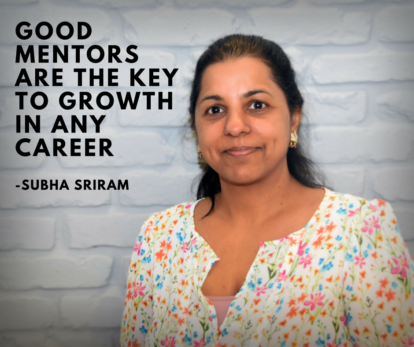 A: Good mentors are the key to growth in any career. Find one now and start asking questions!